In the competitive world of rugged smartphones you have to be one step ahead of the game to make your name! 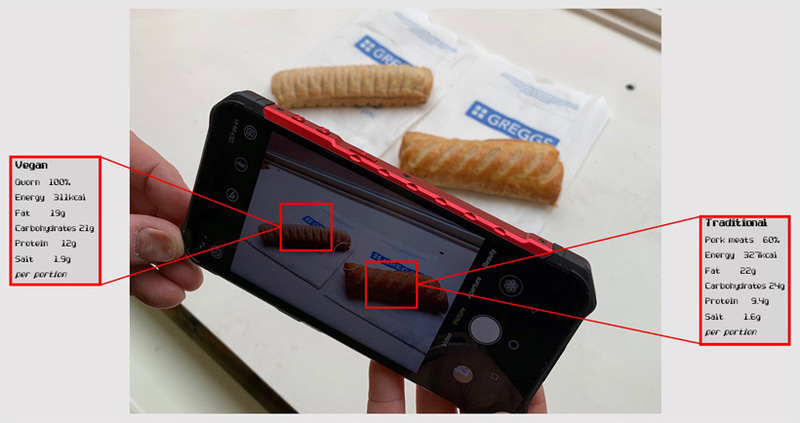 Mobile phone manufacturers are always looking for the next sneaky sensor or amazing feature to add to their phones, this is why UK rugged phone company Toughphone think they have a winning handset. While others thrash around in the “ …my Megapixels are bigger than your Megapixels! !” race, Toughphone have gone for adding useful features that you can actually use. Their last phone, The BEAST, featured an Infra-Red blaster that allowed you to manage any of your home remote controls from your phone! 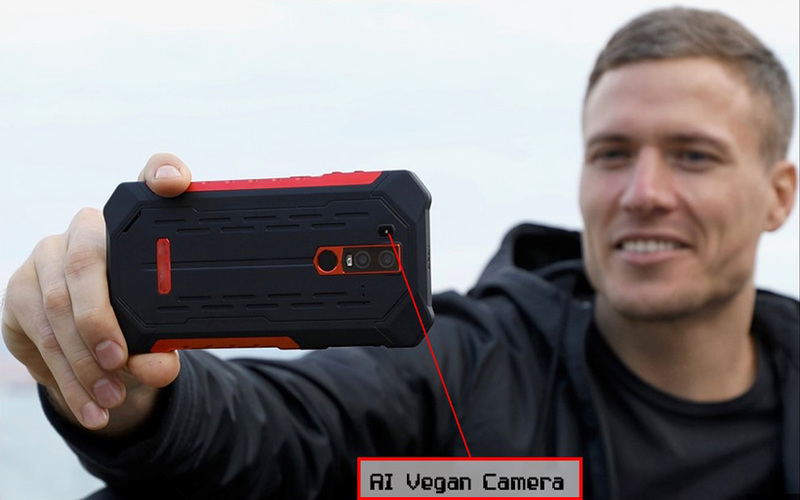 Now, for 2019, their latest model, the VEGAN 1, has an extra camera that whilst it doesn’t make you out to be a movie star it more importantly can spot if your sausage roll is vegan! The camera has a special sensor with a built-in library of over 250 of the listed molecular structures of the most popular dairy products as featured in the Dairy Faso Poll. Never has a handset offered so much to so few!! Both SIM cards support 4G connectivity and each can connect to 4G LTE network. If you have any questions about the VEGAN 1, roaming sim, dual sim phone or anything at all to do with our business then please get in touch with us on 0333 0111 857 or email info@thetoughphone.com. You’ll notice that all our rugged smart phones are dual sim. What does this mean, and how is it best to make the most of this feature? Starting with the basics, dual sim means you can place 2 sim cards into the phone at the same time. You can receive inbound and make outbound calls on each number. You can turn the sim slots off, you can also set up ‘default’ permissions, for example if you want a particular sim to be used for sending texts messages, using data etc. There are 2 main reasons why a dual sim phone works for businesses. The first one would be to keep your private and work lines separate (while using the same phone!). Benefit being that when you need to switch off from work, just simply turn off the sim. Or leave it on – but you’ll be able to screen the call as you’ll know which number the caller has dialled so you could simply forward it to your voicemail. Secondly a dual sim device is useful from a coverage point of view, especially when combined with a pay as you go roaming sim. It’s pretty straightforward, you use your main sim while you have coverage, but if you are working or travelling in an area where you have no coverage on your main sim, you can use the roaming sim to make and receive calls. The roaming sim can access all the major networks so just as long as there is coverage of some description. You only pay for outbound calls and as its on pay as you are in control of any spend. If you have any questions about the roaming sim, dual sim phone or anything at all to do with our business then please get in touch with us on 0333 0111 857 or email info@thetoughphone.com. RISE TO EVERY CHALLENGE – stronger together! 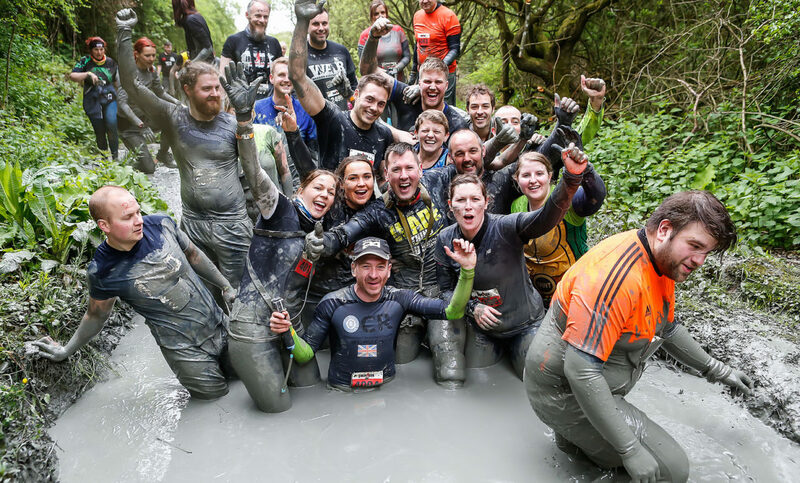 Two of Northamptonshire’s most enterprising independent businesses, Uventure Run and ToughPhone, have joined forces to create a unique mobile challenge in which the UK’s toughest mobile phone range will be put to the ultimate test in one of the UK’s toughest outdoor event series. This is the start of a collaboration between these two companies who will work together in promoting the outdoor rugged adventure lifestyle. 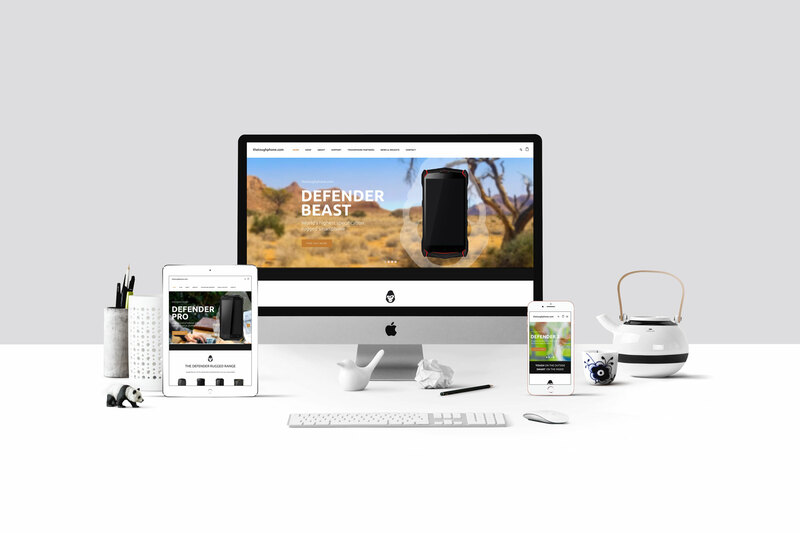 “We built The Beast, (as with the other mobile phones and tablets in our Defender range), to withstand the toughest environments, be it the outdoors or the workplace and still deliver on performance. Running the latest Android OS and incorporating the highest specifications expected of a smartphone, including toughened Gorilla Glass screens, the range is proving popular with professionals working in tough environments and outdoor pursuits enthusiasts who are fed up being without their phones due to broken screens, water damage or cracked cases”. “Our events are incredible fun, but a tremendous challenge. Our team are completely ‘hands-on’ and involved in assisting the runners where necessary, always looking-out for their safety. 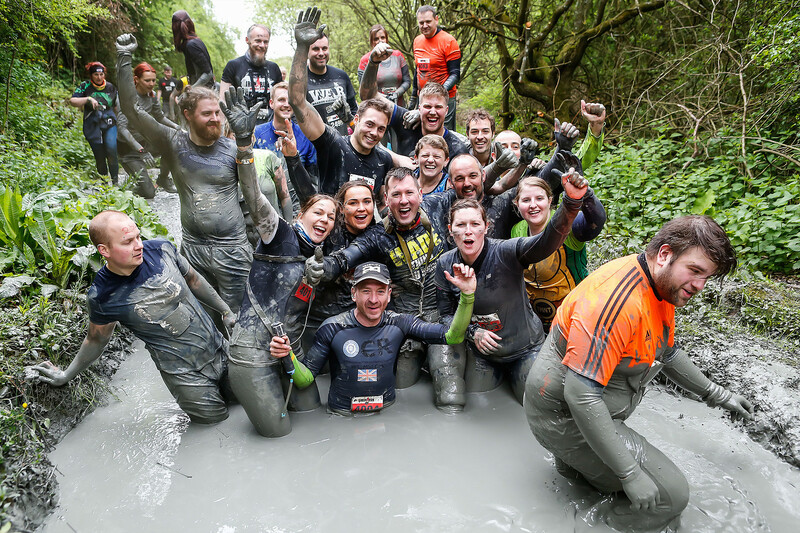 From previous runs we know the the Beast and runners will be exposed to, a good water soaking, mud baths and a few spills along the way, so The Beast will be tested to its limits. Good communication is essential to ensure we offer a well organised and safe event for staff and participants; we are confident that the Defender Beast will serve us well in this”. 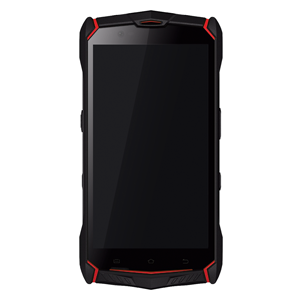 There also be the opportunity for every contestant to be entered into a draw to win one of the Defender Toughphones. We have been event providers for over 25 years, and in 2014 added the Uventure run to our extensive list of previous events. We believe fitness is a gift that people of all ages and abilities should be able to enjoy. That’s why Uventure events have been created to provide a fun, adrenaline packed challenge that people can enjoy together in a safe environment. Whether it’s taking part with friends or family, or as a team building day out with work colleagues, you’ll experience something special that provides an experience like no other. 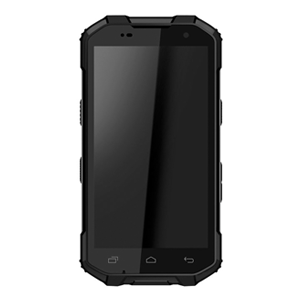 With over 20 years continuous mobile industry experience, Daventry based, Toughphone Limited has developed a comprehensive range of rugged Android smartphones and tablets to meet all requirements and challenging environments. From robust, feature rich, Dual SIM, mobile phone to rugged, portable workforce device, the Defender range delivers performance, resilience and reliability. Here at The ToughPhone we pride ourselves in our professional portfolio of licensed Google approved devices. Which is why we have welcomed the enforcement of the GMS certification procedure. What is GMS and why is it important? GMS stands for Google Mobile Services and its certification is confirmation that a specific device meets Google’s performance requirements and properly runs the Google Apps (The ‘Google Apps’ that GMS checks are Gmail, Playstore, Drive, Youtube, Maps and more. Without these applications, your Android smart phone isn’t so smart..) Manufactures who meet the GMS certification (and become approved) are clearly demonstrating they want the best user experience for their users. 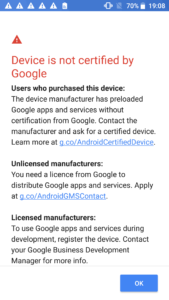 As well as not being able to use Google apps, phones without GMS certification will also be bombarded with constant notifications like the one below.. The enforcement of GMS will protect the customer when purchasing specialist android devices, safeguards Googles Android operating system from rouge devices as well as facilitating a closer relationship with Google Android partners. You can rest assured that when purchasing any of our Defender ToughPhone range you are getting a GMS approved device with gives you the best possible user experience. Speak to our sales team on 0333 0111 857 or email info@thetoughphone.com for more information on this article or anything else ToughPhone related! With so many tablets on the market today at varying price points we have ensured a powerful internal spec on the tough tab so that it can stand up to modern tablet use for both business and personal use. Running the Android OS gives access to thousands of compatible third party apps for business which makes the tablet a real tool for work. 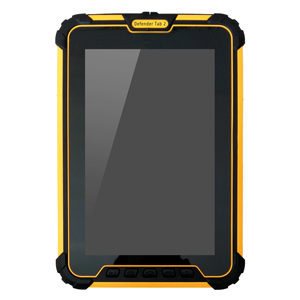 With the improved Android OS 7.1 Nougat the Defender Tab 2 rugged tablet is compatible with all of the latest apps from the Google Play Store. Taking the Defender range a step further the Defender 2 is for the power user who needs fast connectivity in any environment. With 4G connectivity in a solid form factor paired with a toughened 4.5″ screen the Defender 2 is ideal for business users in harsh outdoor conditions. 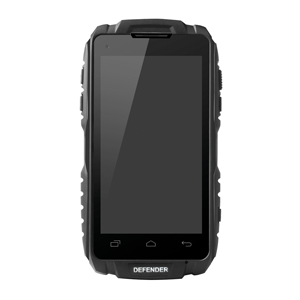 The Defender phone is certified IP-68 which means it has been made to resist both liquid and particle ingress to a high level. The phones robust chassis can also resist impacts and drops and the tough screen is scratch resistant. This means the Defender is the perfect phone for outdoor use or use day to day in hard environments. 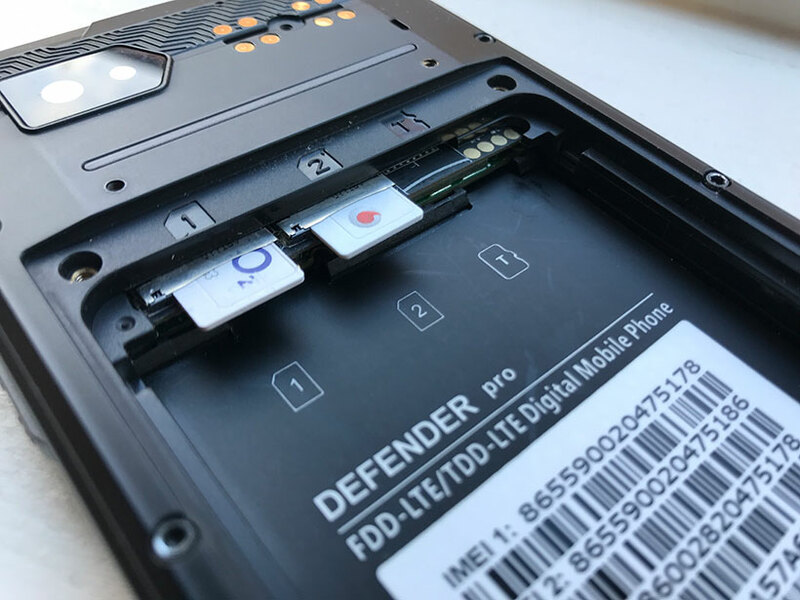 The Defender 2 has been specially designed to work for many different contactless applications that use NFC (Near Field Communiation). Swiping the back of the phone against an NFC enabled surface can make a payment, confirm attendance, bring up job sheets and much much more. Get in tough with the Toughphone team for more information on how to harness the power of NFC. The new Defender Pro handset has even more power inside with an OCTA CORE 2.0GHZ processor. Expandable memory option of up to 64GB. With optional magnetic charge line and loaded with Android 6.0 Marshmallow it is compatible with all of the latest apps from the Google Play Store making it even more of a utility to have on your person day to day. We are delighted to announce that our new website is now live. And we hope you agree that it is an engaging site which delivers the information you need about our range of tough on the outside, smart on the inside, Defender rugged devices. Over the past few months we have been working hard with our digital team to develop our online strategy. And have created a website which offers a simple, intuitive user experience. We will be updating this Blog on a regular basis. 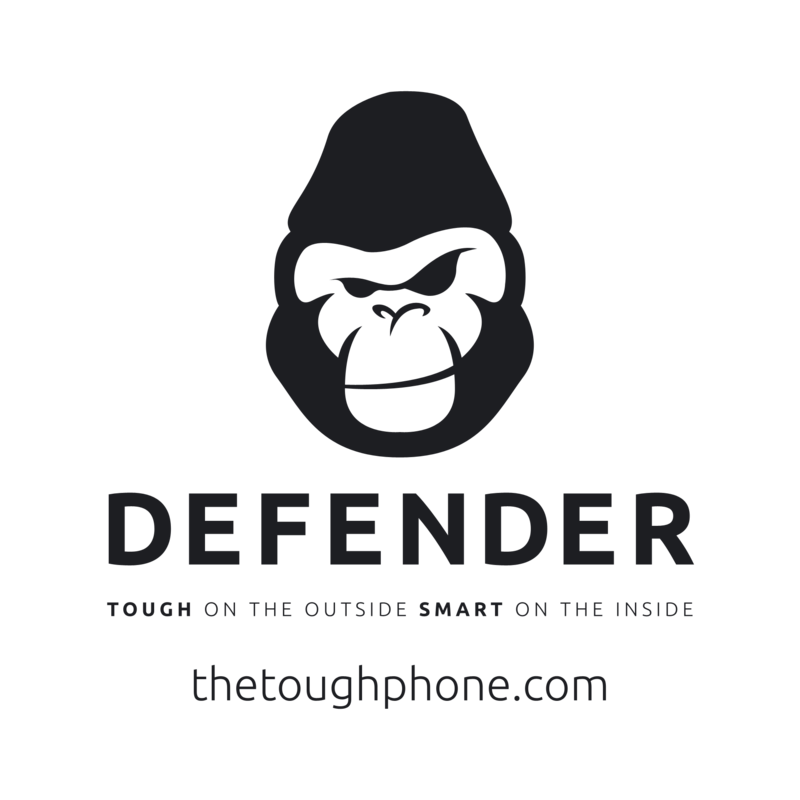 Keep in touch with all the newest updates from The Toughphone | Home of the Defender Rugged Mobile Devices and the industries we work in. You’ll notice that our Defender branding has also changed too. We wanted something that was immediately identifiable. A brand that can continue to grow and evolve as we add new services, products, and members to our team. We will have a lot of news and insights to share in the coming weeks & months. Our enthusiasm, drive and experience mean we constantly look to innovate and deliver above our customer’s expectations. We continue to strive towards exciting, rugged, built for purpose technology. Underpinned by our flexible, attentive attitude. We will be keeping our blog posts updated with news articles which we think you will find very useful. Take a look and explore the rest of our site. Let us know what you think – email us at info@thetoughphone.com with your feedback.